ONLY AVAILABLE AT 2017 BARNES & KNOBLES KIDS BUILD EVENT! 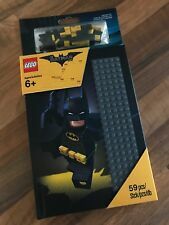 RARE LEGO BATMAN MOVIE PROMO, BATMAN'S MINI SPEEDWAGON. 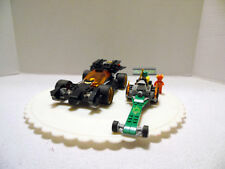 This original LEGO set is in very good, "played with" condition. There may be a little bit of minor wear from use including light dings & scratches. Year: 2014. Series: Super Heroes / Batman II. However, we replace any pieces that show significant aging from the sun. The pieces are all in a played condition, but we do our best to replace pieces with significant wear. However, we replace any pieces that show significant aging from the sun. The pieces are all in a played condition, but we do our best to replace pieces with significant wear. The pieces are sorted, cleaned and cataloged. 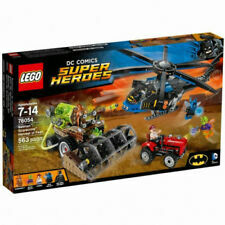 LEGO DC COMICS SUPER HEROES 76013. Batman: The Joker Steam Roller. All PIECES are available for the Roller and the plane. Service Details However, we replace any pieces that show significant aging from the sun. The pieces are all in a played condition, but we do our best to replace pieces with significant wear. especially for sets with baseplates, larger pieces, or oversized instructions. 306 pieces. An excellent addition to any LEGO collection. Set is in excellent used condition. Used but not abused. Clean and dust free. Manual is in excellent condition. This is a retired set. However, we replace any pieces that show significant aging from the sun. The pieces are all in a played condition, but we do our best to replace pieces with significant wear. Alternate Parts (Lego Mold Variations). This Lego Batgirl set is Pre-Owned, so it may show some wear like scratches. Set is Incomplete great for someone who needs parts to complete a set, or just need some random parts for a MOC, or if you want to take on a project and complete this set. Overall this set looks good. Keep in mind set is INCOMPLETE No Box NO INSTRUCTIONS No minifigures instructions can be found online. The item pictured is the one you will receive, i will take apart when shipped. If you have any questions feel free to ask. Be sure to check out my other items. Thanks for looking. DC The Joker 41588. LEGO Brick Headz. 151 pieces building Toy. PIECES ARE IN GOOD CONDITION~. SEE PHOTOS. Write, draw and build with this sturdy notebook, featuring a hardback cover with a 5x24-stud baseplate and 60 1x1 flat tiles in various colors. Customize your notebook with mosaics, letters or numbers and use the supplied page marker ribbon to mark your favorite pages. Shoot the harvester before it mows down the tractor—but watch out for Scarecrow's fear gas stud shooter!